In the 1960’s, life started to become a little more ‘adventurous’. The 1960’s was the biggest climate of change, it was an era of protest and life was not as simple. Female activists demanded more rights for women, there was a civil rights movement (blacks and whites) and society started to change as a whole. 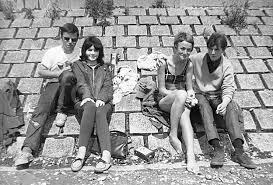 Lifestyle: By the 1960’s, lifestyle was linked to the word ‘freedom’. Families were becoming less disciplined. Teenagers were allowed to ‘hang-loose’ and over time, this was more accepted. The ‘leisurely’ life started to begin, more people could afford to buy cars which meant increased traffic jams. The birth control pill and contraceptives were introduced, making it possible for women and men to plan careers and, have children in their own time. Life seemed less restricted, women started to have a voice. ‘Family life’ was still existent but it started to become less of a priority, with more choices and contraceptives – family life could be put on hold. Entertainment: The entertainment factor of the 1960’s had changed. TV was no longer limited, TV sets were placed in the sitting room. TV became something you could watch every day with various programmes. With more money to spend, food was becoming more experimental. Pubs were no longer the main attraction. There were more choices and cuisines such as, Chinese and Indian restaurants. There was also more holiday options. Moreover, music started to become a huge part of people’s lives. 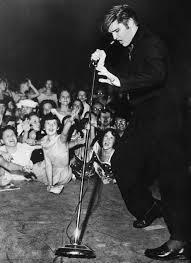 Music started to dominate and there was a sense of freedom for young people, as this started to become a part of their culture. The value of entertainment/music was increasing whilst family time was becoming not as important. Children: Although there was a sense of freedom, there was still discipline for children both at home and school. Although it was fairly safe, with more cars on the road children had to be careful and stay within close reach. Children also had more choice when it came to toys, there was a lot to choose from compared to the earlier decades. Toys like G.I. Joe, Twister and Operation can still be found on toy shelves around the world. They came from the 1960s. 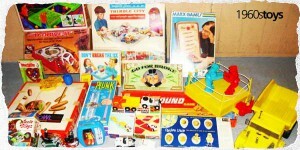 Manufacturers also created electronic toys, this was a huge factor when it came to children’s toys. Again, the bigger the inventions, the less time for family. To conclude, the 1960’s was a time for change however, family life was still important, but becoming less important compared to other decades as having choice may have changed this. However, with so much change, why did marriage rates stay steady and divorce rates decrease? Even though the change in the 1960’s may have made family time less of a priority, it may have had a positive effect on becoming happier in homes with more freedom. The balance between a family life and freedom may have caused less divorce. its very sad that when toys started coming around, people cared less about family life.